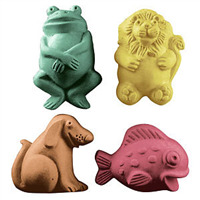 An antic alligator and a terrific turtle are the stars of this Kids Reptiles Soap Mold. 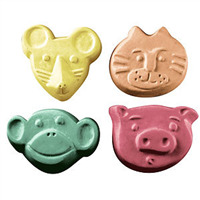 Perfect for gift-making projects with the kids. 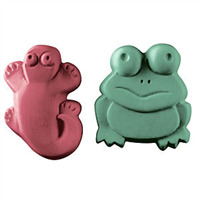 COMMENTS: These make really cute soaps and like the Amphibian mold, they are larger than expected. 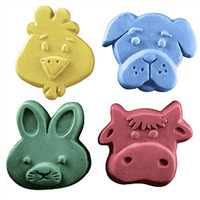 "Adorable and Easy to Use"
COMMENTS: I am using this mold to make party favors for a baby shower. 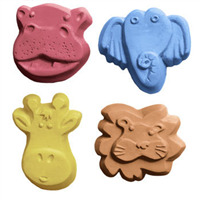 It is the most adorable, whimsical turtle and alligator - perfect for a baby shower (that happens to have a turtle theme)and for kid soaps in general. 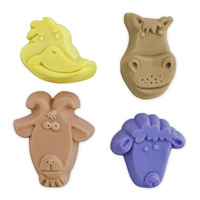 The mold is easy to use with soaps coming out so easily and the 2.5 ounce soaps are a great size.